It’s February, and love is in the air in Los Cabos! 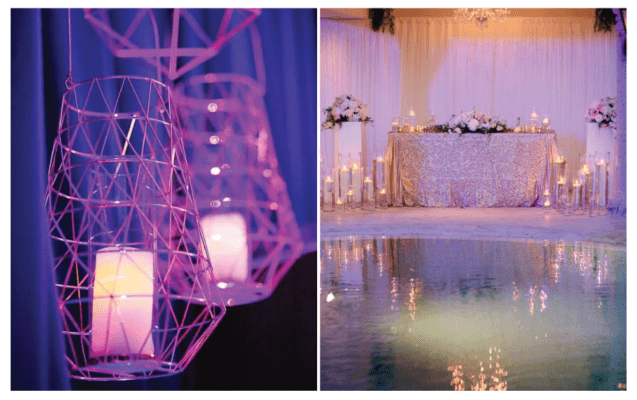 Nothing sets the mood quite like the perfect event lighting, so this week we’re sharing some of our favorite lighting looks from our sister company, Cabo Linens, Things and More…. Proper lighting is one of the most vital elements of any special occasion. Lighting not only transforms your venue into a magical space for your guests, but also it creates a dramatic first impression when people walk into each area for the first time. 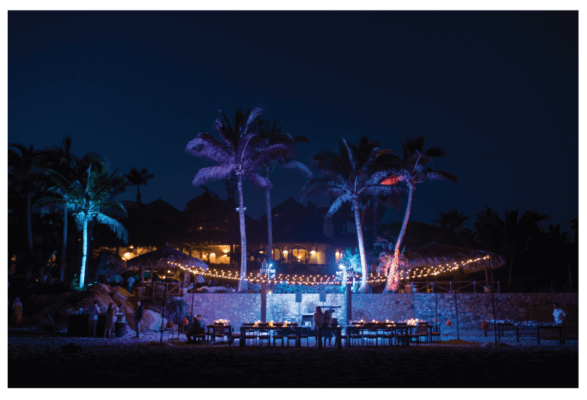 There are so many ways to customize your lighting design, and no one in Cabo designs an unforgettable event space better than our team of wedding planners working with Cabo Linens, Things and More…! For a rustic lighting design that still radiates romance, we love the look of string lighting. From beach venues to intimate garden affairs, string lighting is versatile enough to go from casual to elegant in any setting. Candles are another of our favorite lighting elements. The soft glow of candlelight always sets a romantic tone, and the simple look of votives and mirrors will never go out of style. Lanterns are also a trendy lighting option we adore for events in Los Cabos. Cabo Linens, Things and More… has so many lantern styles to choose from, including paper, metal and wooden lantern styles. Of course, as Cabo’s leading custom décor design company, they are always happy to create additional lantern lighting to fit your theme. One fun way to highlight a particular area of your event space (such as the dance floor or bar) is to use colored under lighting or accent lighting. 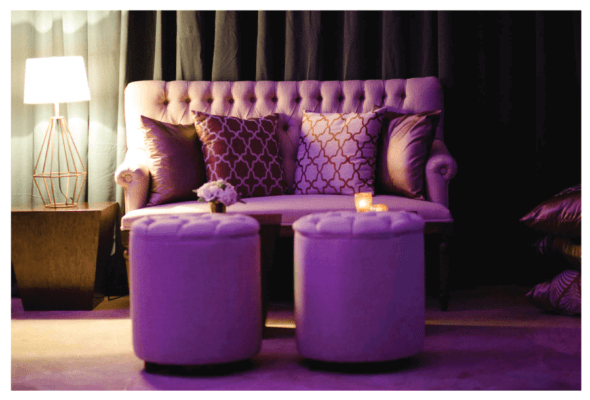 When combined with monogram lighting, colored lighting gives a completely custom feel to any celebration. Finally, for the perfect first dance or after-party photo op, sparklers are another of our favorite lighting effects! Your wedding photos will literally shine with the magical look of sparklers in Los Cabos! The wedding planners at Creative Destination Events and the design team at Cabo Linens, Things and More… make the perfect team for your special event in Cabo. 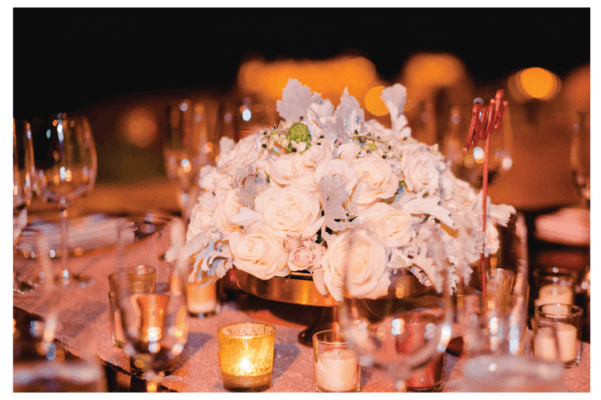 Contact us today to work with the Morel Companies on your destination wedding or private event! This entry was posted in CABO WEDDINGS, DESTINATION WEDDINGS, WEDDINGS VENUES and tagged Destination Wedding in Cabo.